Associated gas AG) is produced from the reservoir during oil production. In this post, Tetra Tech’s John Sachs, Director of Project Finance, and Artur Davtyan, Manager of Project Finance, discuss how AG could be used to fuel power plants, used as bottled gas, serve as a feedstock, exported as liquid natural gas (LNG), or put to other productive use with contributions by John Beardsworth and William Newton of Hunton Andrews Kurth, LLP. All opinions expressed in this post are the authors’ own. Instead of being put to productive use, an estimated 140 billion cubic meters of AG is flared every year, equating to more than USD$10 billion of resource value. Flaring contributes approximately 350 million tons of CO2 emissions to the atmosphere annually, in some cases having been cited as having a negative impact on the health and livelihoods of local populations. While much progress has been made in recent years to reduce flaring, AG continues to be flared at thousands of oil production sites around the world. A further reduction may be achieved through a market-oriented approach to commercialization that can produce a win-win-win: for the oil producer, the buyer and seller, and the environment. AG is frequently viewed by oil producers as an unwanted byproduct of oil production. Though flaring can be reduced through the commercialization of AG, doing so requires the resolution of many constraints and the creation of appropriate incentives. The technology to address the problem of AG flaring is well developed and can include gas reinjection for enhanced oil recovery (EOR), power generation, compressed natural gas (CNG), liquefied natural gas (LNG), gas-to-liquids (GTL), and processing and pipeline development. Rather, AG continues to be flared due to a combination of factors related to physical characteristics and infrastructure, and the legal, policy, and market factors that must be overcome to successfully commercialize AG. AG is produced as a byproduct of oil production and is subject to production fluctuations, given that the ratio of AG to oil naturally varies over time.In addition, the physical solutions can be very flare-site specific: AG can be found far offshore, in remote and scattered locations. Volumes may vary significantly from site to site. Distance to demand centers, as well as infrastructure (pipeline, transmission lines, etc. ), also impact the commercial viability of gas utilization projects. Legal uncertainties and lack of enforcement of anti-flaring regulations also contribute to the problem. The greatest flaring often occurs in countries where legal uncertainties or lack of anti-flaring policies exist. Subsidized hydrocarbon prices and regulated end-product prices may result in a market distortion that impedes investment in gas monetization projects. While the scale and complexity of AG flaring may seem discouraging, some large oil producing countries and oil producers have taken important steps to reduce flaring. 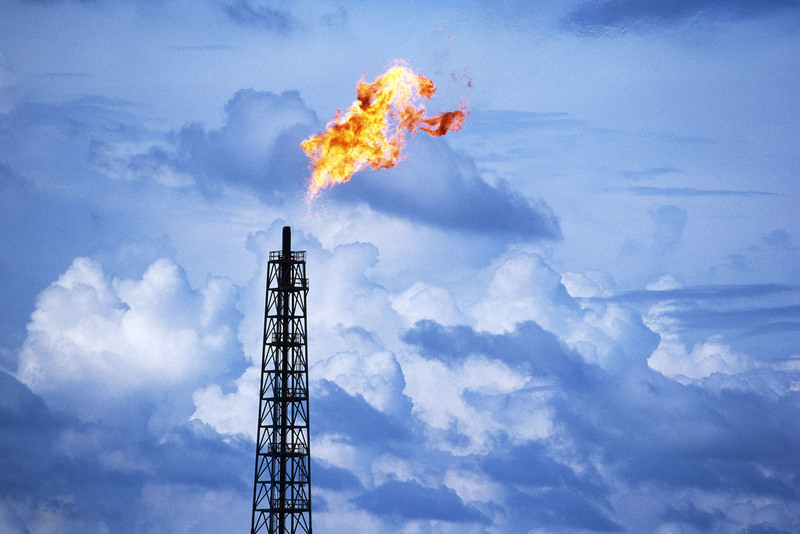 Routine flaring is no longer as widely accepted as a standard business practice. Countries such as Saudi Arabia, Norway, Kuwait, the United Arab Emirates, and Canada all have taken steps to harness and put AG to productive use. Other countries also now require that any new field development plans include provisions for sustainably managing the AG and putting it to productive use. While producers typically have the right to use AG to support oil production (e.g., reinjection for EOR, power production at the site), under many production sharing agreements or statutes, governments often have ownership of any surplus AG. Unfortunately, the governments of developing countries often do not have the expertise or the capital to develop their own AG capture and monetization projects. Typically, the oil producers, who are physically in charge of production, have technical expertise, and are better capitalized. Thus, one option to provide for the commercialization of AG is to remove the government’s preemptive rights to authorize private sector development of AG capture and monetization projects or the private sector sale of the AG. Where a government owns AG, another option for monetization is for the government to sell the AG itself. A properly administered government-run auction can bring benefits that a producer-run auction may not be able to offer, such as enabling buyers to purchase from multiple flare sites across the country, providing tax incentives, or addressing political risk. Many governments in oil-producing countries are familiar with the lease of oil blocks, so the sale of AG may seem like an easy next step. However, differences between AG buyers and oil block lessees need to be factored into the design of any AG monetization efforts. Oil can more readily be exported and sold in USD on the international market to any number of creditworthy parties. AG buyers may need to monetize the product locally, if it is not monetized through an export project, relying on local customers and sales denominated in local currency. Depending on the locale, this can introduce far more risk into a monetization project and attract a different universe of buyers. To maximize the chance of success, the government seller needs to consider the perspective of the AG buyer and address various issues in the gas sales agreement. A buyer may need a long-term gas supply commitment (typically 15-25 years) to justify the investment needed for development of a project. A buyer will likely need a consistent and reliable supply of gas, because revenues can be interrupted if the gas stops. In such a situation, a buyer may request that it be kept whole for its financial losses. Where supply is less reliable and make-whole payments are insufficient, AG prices may be low. A buyer’s project is typically built for a tolerable range of gas specs, and supply of gas outside those specs may impact operations or damage a buyer’s project. Where there are concerns as to potential gas specs, AG prices may be low. A buyer can usually guarantee a reasonable quantity of gas purchases year-to-year, but a buyer may need some reasonable flexibility. A buyer will consider the seller’s creditworthiness to protect the buyer’s investment from the risk of a serious breach of contract by the seller. In countries where political risks are high, a buyer may request protection from political events. Readers familiar with international project finance will recognize these as key features to making a buyer’s project bankable. While there are tools to make AG sale and related monetization projects more bankable, structuring the terms and conditions must be done with great care to attract investors. The tools to achieve a bankable gas sale are available. Where the sale is conducted by the producer, these tools are largely in the hands of the producer. However, where a government is the seller of gas, some of the key factors for creating a bankable project are still under the control of the oil producers, and the commercialization must be done in a manner that includes the producers. For example, the oil producers are in the unique position of controlling production and physical delivery of any AG. As a result, they remain best positioned to manage that risk and to stand behind any such a guarantee (e.g. through a make-whole payment if the AG supply is interrupted). This dynamic effectively requires a government-producer-buyer tripartite relationship. This tripartite relationship, however, is not necessary if the producer itself commercializes the AG. If putting AG to productive uses were as simple as putting the product up for auction and populating a data room, AG flares would have been extinguished across the globe. While some progress has been made in successfully commercializing AG, enactment of new—or refinement of existing—government policies may be needed to further support its commercialization. Some of the policy issues are broader than AG. For example, subsidized competing fuels or electricity prices in some countries frustrates the sale of AG or end-products produced from AG feedstock into the local market. Domestic integrated incumbent utilities and the legal and regulatory frameworks applicable to the gas sector also can prevent or stifle the private sector’s development of a natural gas-based business. These policy issues go beyond the AG sector. Other policy approaches can be targeted at AG, where a mix of carrots and sticks can be used to create incentives for the commercialization of AG. Incentives can include a mix of fiscal incentives, AG commercialization profit sharing, fines, and taxes. As an example, under a carbon tax system AG would not just have zero value, as it does now, but would have negative value since the flared gas would count in the calculation of the carbon footprint. However, several other approaches to setting appropriate flare gas fines exist and do not need to be linked to a carbon tax calculation. Governments also need to adopt transparent and efficient regulatory regimes that cover enforcement of operational standards, flare gas measurement, monitoring, and other requirements. Transparent enforcement of the flare gas regulatory regime creates the right incentives for producers to participate in flare gas commercialization. There is no one-size-fits-all solution to the commercialization of AG; each set of market reforms, incentives, and policy and regulatory reforms needs to be tailored to the specific country. Significant collaboration between government and producers is needed when tailoring the regulations and policies to ensure they not only meet the government’s objectives of reducing the flares, but also do not unintentionally materially impact oil production. Mr. Sachs, director project finance with Tetra Tech International Development Services, has more than 20 years of experience in successfully advising on and executing private equity and debt placements, mergers and acquisitions, restructuring, project finance, and public-private partnership (PPP) transactions in the energy and infrastructure sectors. He leads Tetra Tech’s financial advisory practice and is responsible for assisting public and private sector clients with structuring projects, assessing financial feasibility, developing business and financing plans, and helping arrange financing for energy and infrastructure projects. He has led teams on successful transactions on three continents, closing transactions in excess of US$6 billion in value. His experience includes a particular focus on projects in the oil and gas, power, transport and water sectors. Mr. Davtyan, manager project finance with Tetra Tech International Development Services, is an energy and infrastructure finance specialist with experience advising corporations, governments, and lenders on private and public investments in energy, transportation, infrastructure, and other capital-intensive projects. 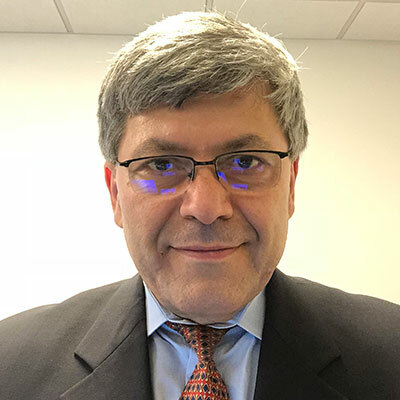 His experience includes advising on all financing aspects of transactions: initial due diligence and structuring, financial modeling, project risk and feasibility analysis, credit analysis, capacity building, drafting valuation reports and information memoranda, negotiation of term sheets, and financial close. 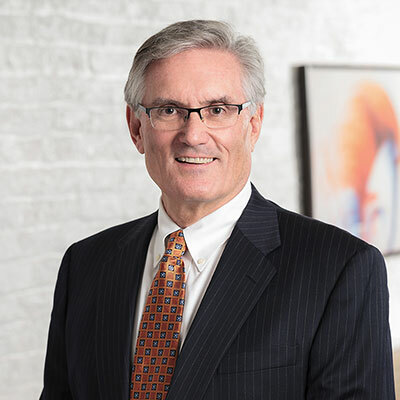 William L. Newton, Partner at Hunton Andrews Kurth, focuses his practice on project development and finance transactions, including developing, privatizing, restructuring, and financing diverse types of energy and infrastructure projects throughout the world. 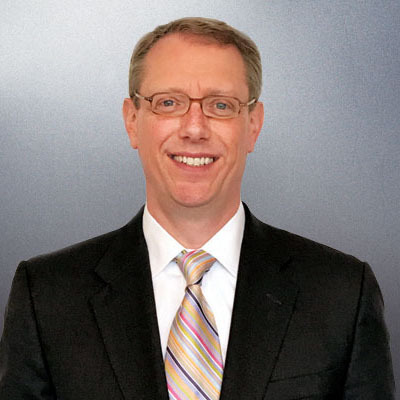 He advises governments, quasi-government organizations, utilities, ISOs/RTOs, and developers on the full spectrum of project development, including the development and negotiation of a wide variety of energy and infrastructure project documentation such as power purchase agreements, implementation agreements, connection agreements, guarantees, and others. Mr. Newton has worked with the implementing partner to the U.S. Agency for International Development’s Power Africa and Transactions and Reforms Program (PATRP) team on the development of projects across the African continent. 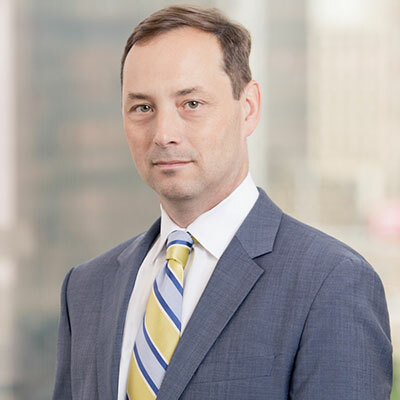 Mr. Beardsworth, Partner at Hunton Andrews Kurth, serves as global head of Hunton Andrews Kurth LLP’s business practice group, which comprises its corporate team, capital finance and real estate team, energy and infrastructure team, and its tax and ERISA team. With over 35 years of experience, he focuses his practice on energy and infrastructure transactions and finance. He is experienced in energy and infrastructure project development, domestic and international contract and finance matters, and the purchase and sale of energy-related assets. Mr. Beardsworth has advised clients on oil and gas matters both in the United States and across Africa, Europe, the Middle East, Asia, and Latin America. Mr. Beardsworth has consistently been ranked for Projects & Energy Law in Chambers Global Guide since 2007 and is recognized as a leading energy and infrastructure lawyer in the IFLR1000 Energy and Infrastructure Guide.